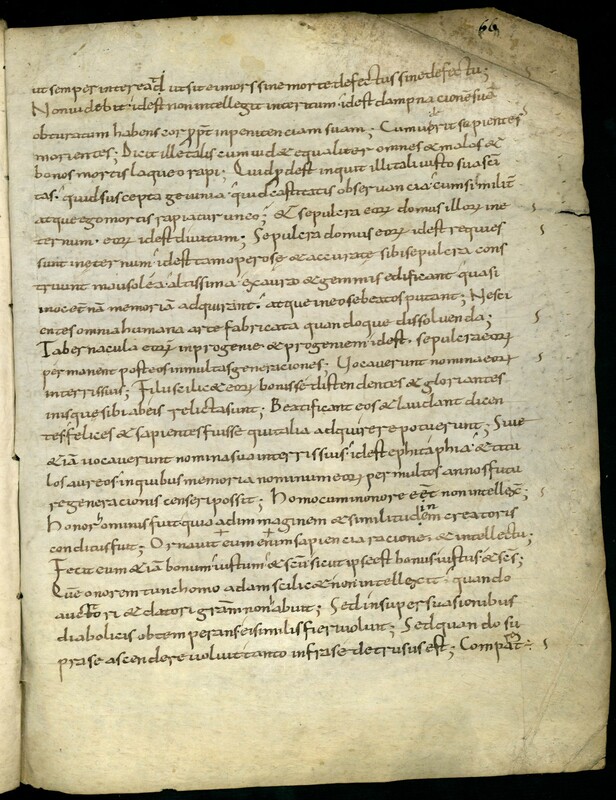 The manuscript 788 of Lyon's City Library is not a codex, but an unbound collection of fragments. The circumstances of their gathering are not known. At some point, the fragments were folioted as they stood, from 1 to 101. This is the conservation status described in the Catalogue général des manuscrits, t. 30,1 (1900). But this dismantling of Lyon 788 went on: it was noticed that its f. 67-74 actually preceded Lyon 603, a manuscript that is damaged in its beginning, and the quire was also relocated in its original body. At last, for reasons I am not aware of, it was decided to take out of Lyon 788 the f. 89-90, and give this bifolium a new shelfmark : Lyon, BM, 6207. As a result, Lyon 788 now contains 67 leaves numbered as follows: f. 1-34, 41-48, 59-66, 83-88, 91-101. But we may fear that another relocation could be decided in the future, since Bernhard Bischoff suggested that Lyon 788, f. 98-99, actually originate from Lyon, BM, 601 (KFH II, 2569). All of these manuscripts were written in the IXth century or prior. It can be suspected that other, younger fragments of these collections (Lyon 788 and Baluze's) could also be related. Manuscripts who survive only as parts of these are virtually reconstructed here on Fragmentarium.